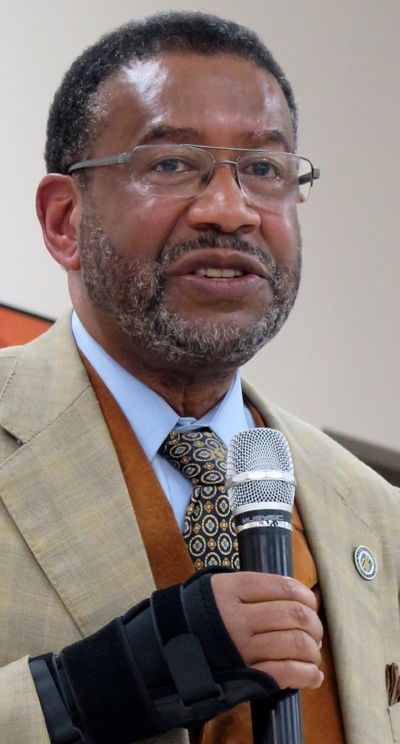 It was something of a victory lap for Ron Carter, whose time in the presidency of Johnson C. Smith University may, he said, be extended a few months past his announced June departure. Forum leaders prepared an elaborate resolution of thanks for his work both at the university and in the northwest Charlotte corridor surrounding the university. The questioning was a bit tamer than some presenters have faced at the Forum. And Carter steadfastly dodged a question a two, specifically declining to say where he would be or what he would be doing after the university. But the video below, Carter was quite clear that he fears that the United States will slip into a kind of apartheid similar to what he saw in South Africa when he lived there for 10 years. He challenged Forum participants worried about gentrification to seek solutions that go beyond race. And he had a warning for the many groups studying Charlotte’s abysmal record for social mobility, saying he has not seen any group willing to examine the systemic issues that leave it nearly impossible for the community’s poorest adults to build a more secure life for themselves and their children. QCityMetro’s Glenn Burkins was in the audience. His report is here. PDF here. Carter’s comments begin at minute 15:03. The Q&A begins at 29:48. Forum co-founder Sarah Stevenson began the presentation of the Forum resolution, which runs from 35:45 to 40:45.